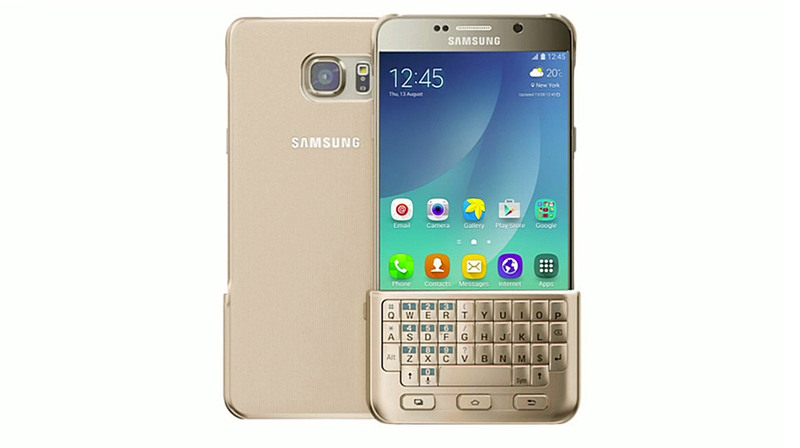 Those rumors that Samsung would launch an oddball keyboard add-on? They're true. The Korean tech firm has unveiled a Keyboard Cover for theGalaxy Note 5 that, as the name suggests, gives you both a case and a hardware keyboard for those times when you need to punch out long messages. Samsung is shy on details, but it looks like the screen adapts to the keyboard. There are conventional navigation buttons to replace the capacitive ones you've lost, as well. We can't imagine too many Note 5 owners picking this up (part of the point is that big screen), but it could hit the spot if you're jonesing for a BlackBerry-like experience on an Android phone.